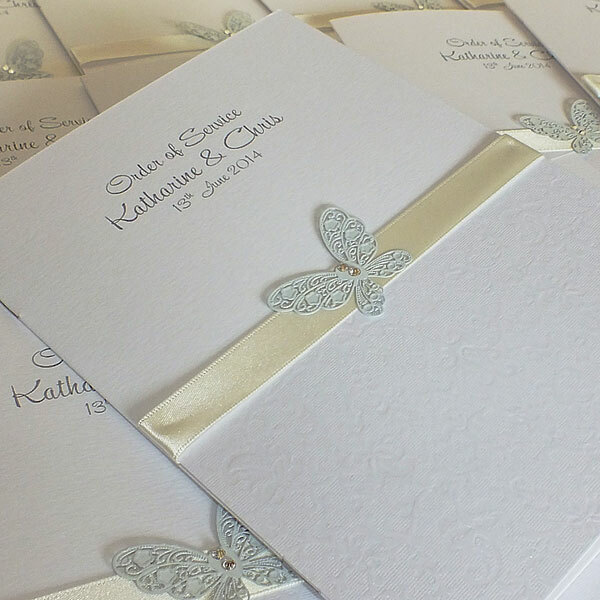 The HARRIS wedding stationery range is a pretty design featuring a metal stencil butterfly embellished with Swarovski diamontes and mounted on a satin ribbon. The names of the bride and groom and the wedding date are printed on the front and the design is easily adapted to suit a wedding order of service or order of the day for a civil ceremony. For most church ceremonies we would advise an A5 booklet (148 x 210mm), with one or two printed pages stapled inside. An essential item for your wedding day, the order of service is required during a church service to provide your guests with the order of the service, the words for your hymns, any responses required from the congregation, and any other acknowledgments that you wish to make. 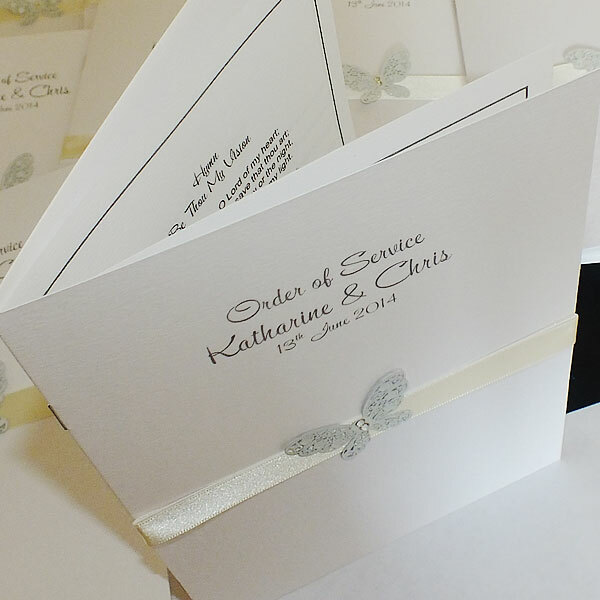 We are happy to advise on the layout and content of your order of service sheets. 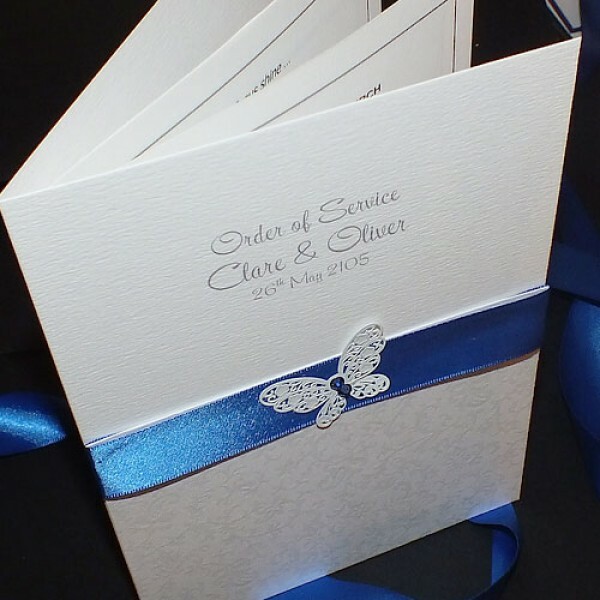 For a civil ceremony, a smaller booklet or a flat board may be more suitable for your order of the day or order of ceremony. This provides your guests with the timings of the service, speeches, meals etc. 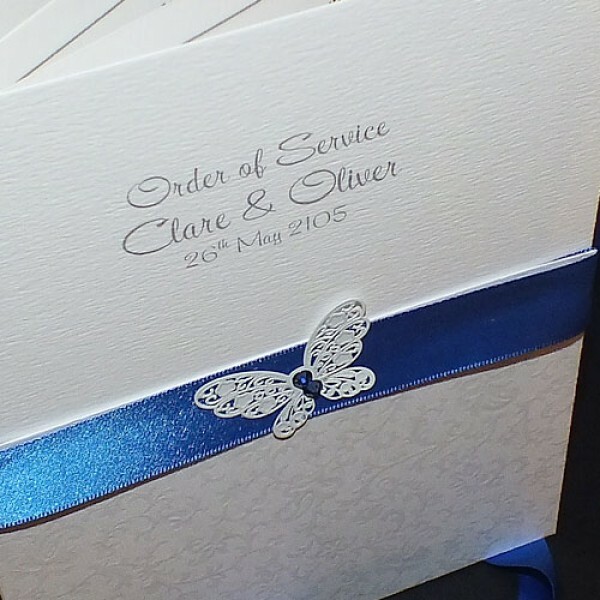 As with the other items in the HARRIS range, the order of service is available in any colour scheme to match your wedding and we are happy to match to a colour sample.